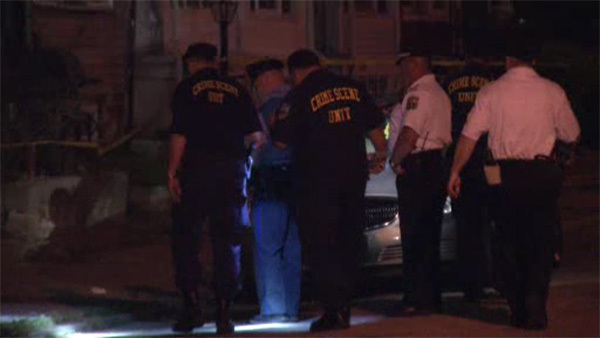 KINGSESSING (WPVI) -- Police say a man is dead after being shot at least 10 times in Philadelphia's Kingsessing section. It happened around 8:45 p.m. Saturday in the 1700 block of South 53rd Street. Police say the victim, a 26-year-old man, was shot multiple times. There were 10-20 shell casings found at the scene. He was taken to Penn-Presbyterian Medical Center and pronounced dead. No arrests and no word on a motive.